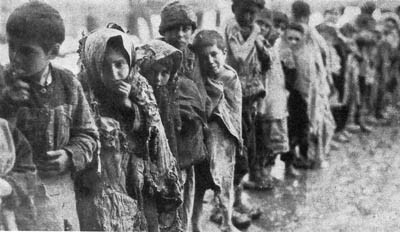 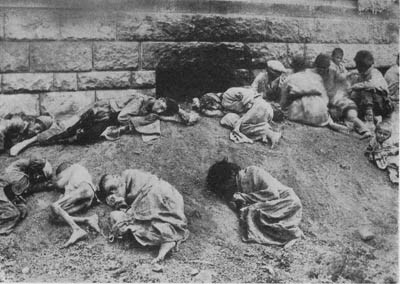 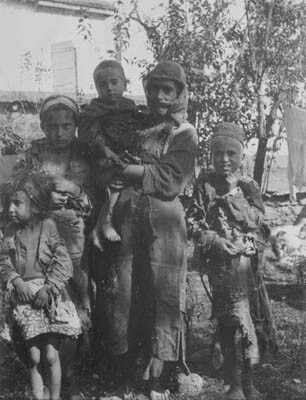 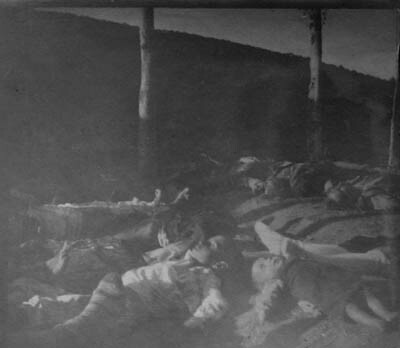 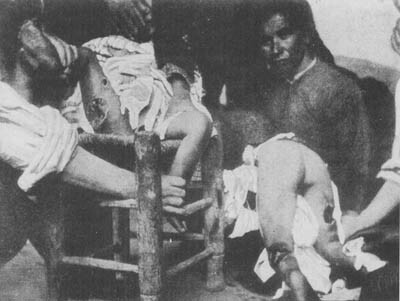 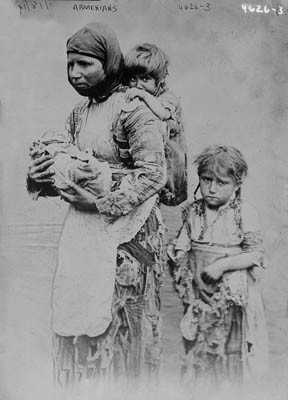 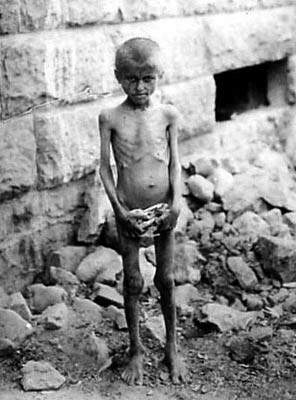 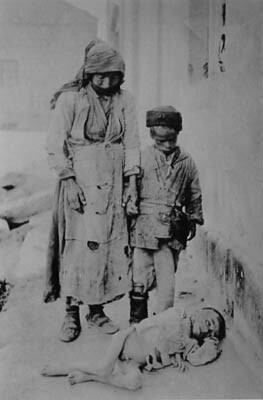 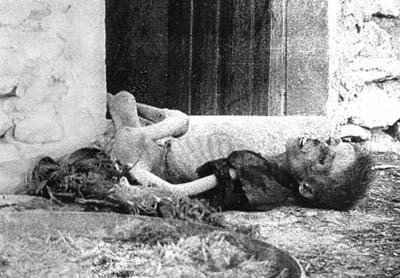 A significant portion of Armenian children succumbed to severe hardships during the Armenian Genocide. 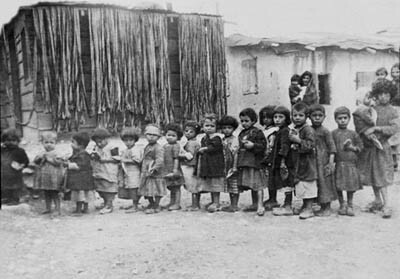 In the order of Talaat, the Minister of the Interior of the Ottoman Empire was told: вЂњAll the Armenians in the country who are Ottoman subjects, from five years of age upwards, are to be taken out of the towns and slaughteredвЂќ. 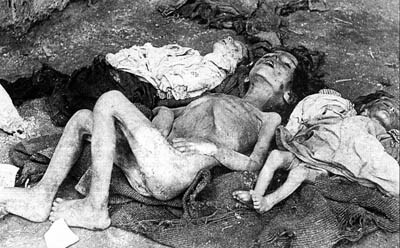 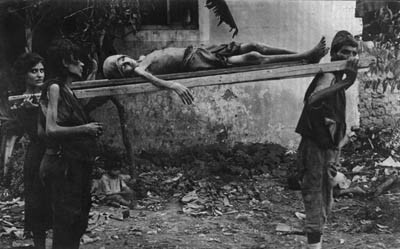 Some of children were burnt alive; the others were poisoned or drowned, died from lack of food, or succumbed to diseases. 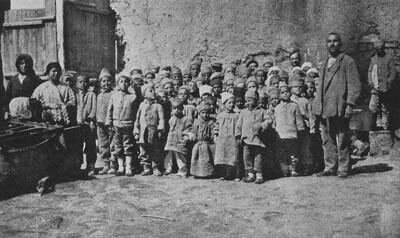 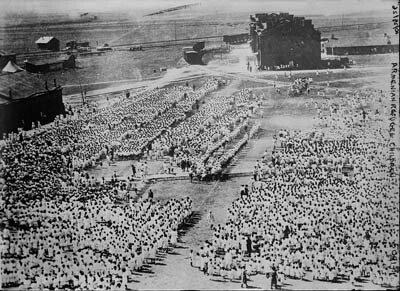 As a consequence of the Armenian Genocide hundred thousands of Armenian children were left orphans, many were converted to Islam. 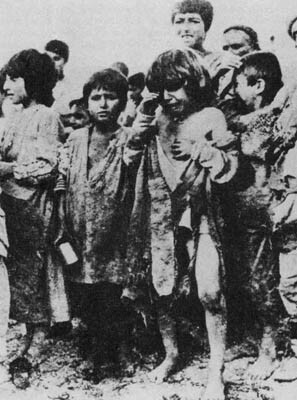 The most extensive operations of mass burning of children took place in Bitlis province. 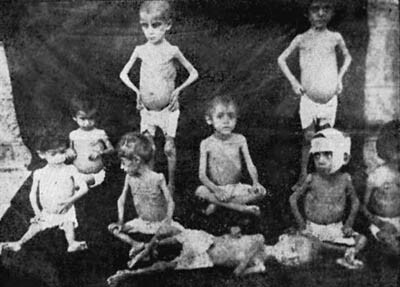 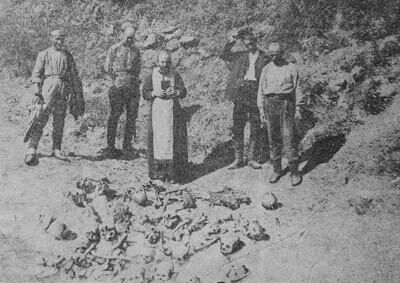 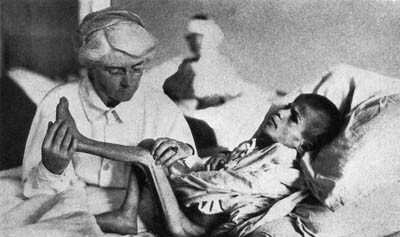 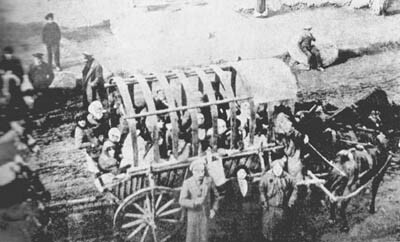 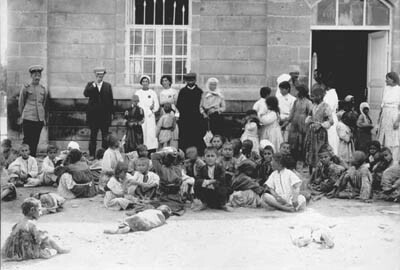 Swedish missionary Alma Johansson, who was running the German orphanage in Mush, reported that many Armenian women and children were burnt alive as the orphans of their orphanage. 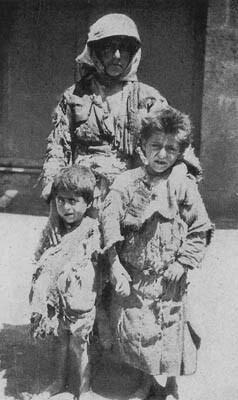 The mass burning of children took place also in Der Zor, where the orphans gathered into a large orphanage building, then pushed in batches to a spot about an hour distant from the city, doused with petrol and torched to death. 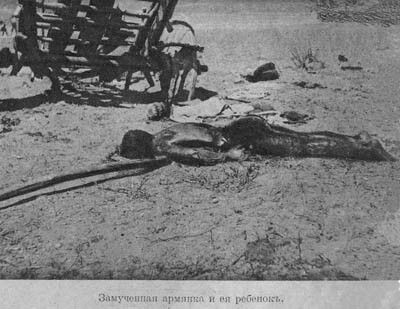 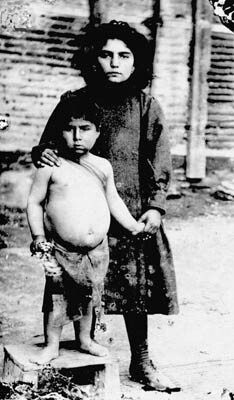 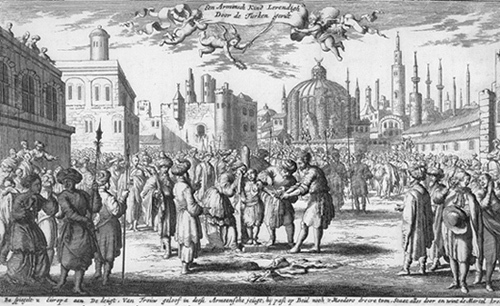 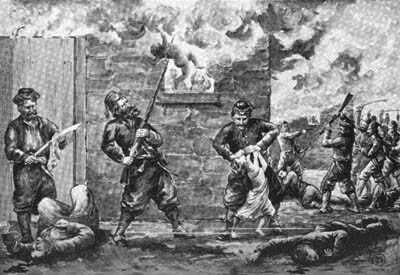 This method of murder of children was implemented also in the provinces of Kharpert and Diarbekir. 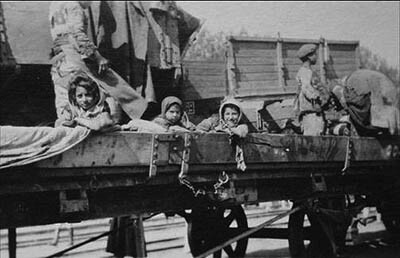 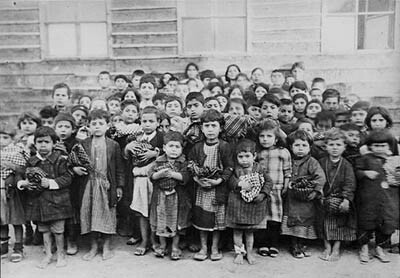 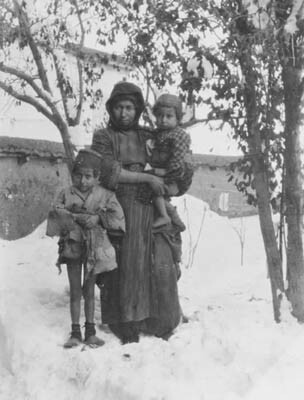 The policy of Turkish Government to annihilate the Armenian children became more evident after the deportation, when a lot of orphans were gathered. 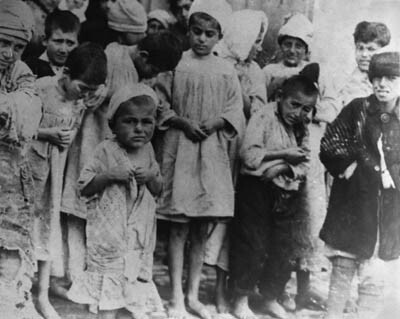 Turkish Government opened some orphanages for these children. 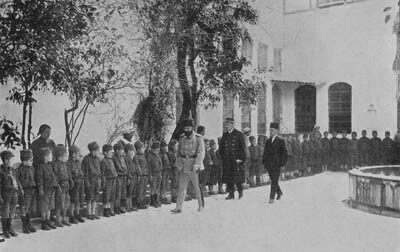 Talaat ordered to collect and only keep those orphans who cannot remember the tortures to which their parents have been subjected. 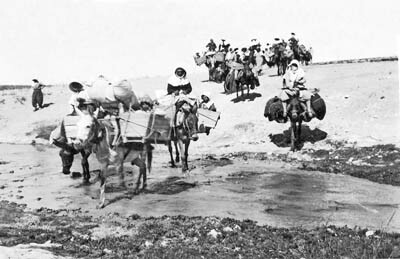 The others must be sending away with caravans. 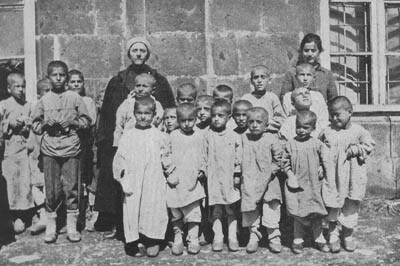 Danish missionary Sister Hansina Marcher visited one of these orphanages in Kharpert and surprised: She found about 700 Armenian children; all of them were good clothed and fed. 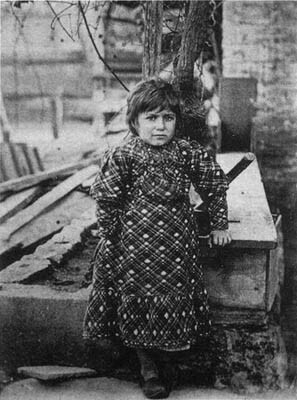 When she visited the orphanage again several days later, there were only 13 out of the 700 children left вЂ“ the rest had disappeared. 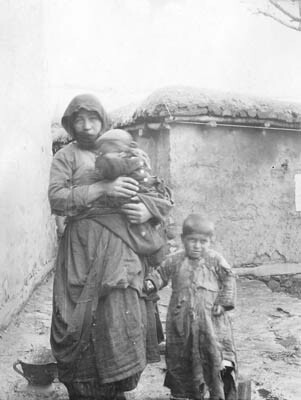 They had been taken to a lake and drowned, where ten thousands of Armenians drowned during the summer. 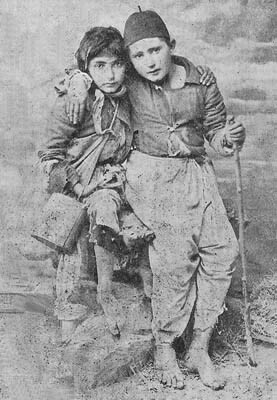 It should be mentioned that many orphans have been picked out and carried by the Turks and Kurds, Arabs during these years. 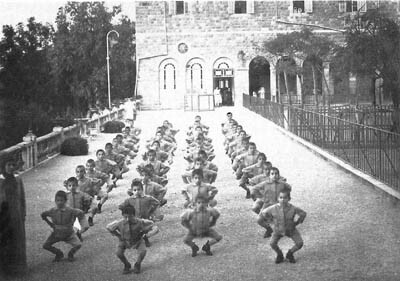 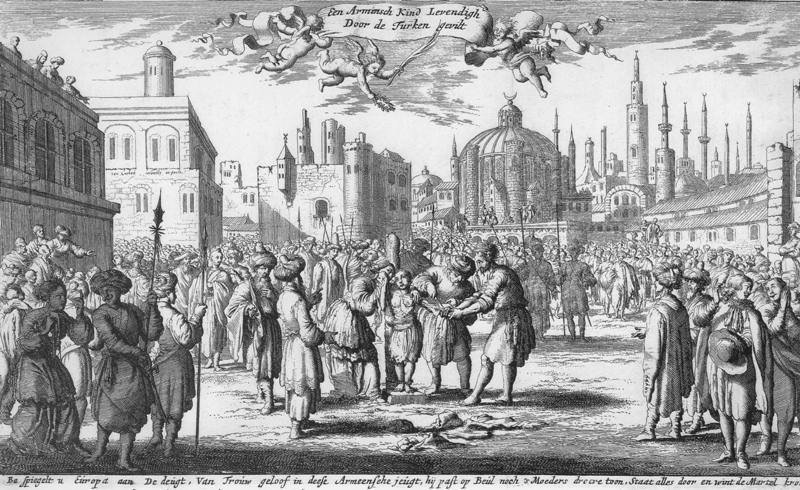 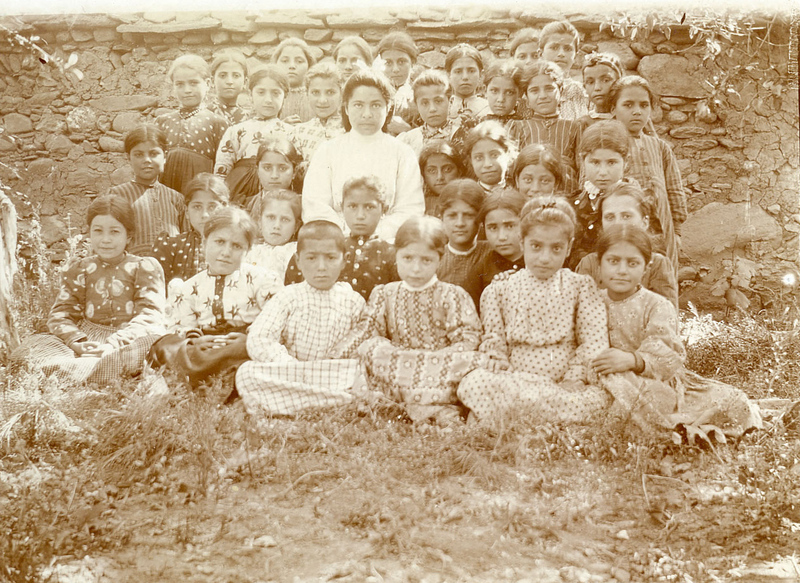 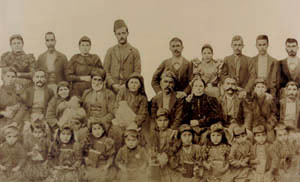 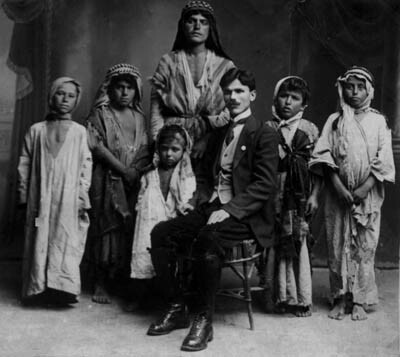 The Armenian orphans were adopted by them and converted to Islam. 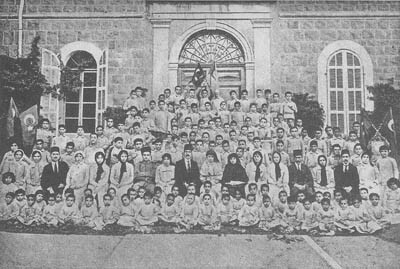 The orphans in some orphanages, such as Antura orphanage, also were converted to Islam. 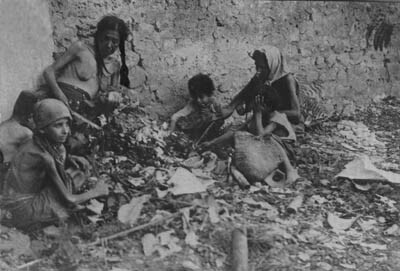 During the next years by the efforts of several organizations and persons thousands of them were rescued. 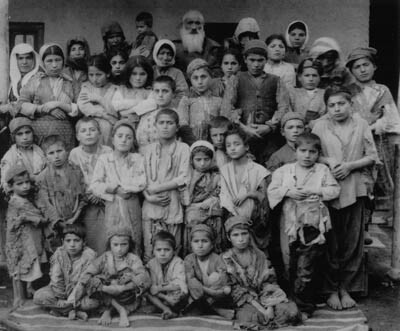 The children, who had survived the Armenian Genocide, had to overcome a lot of difficulties, to face a lot of trials to remain faithful to their religion and nationality. 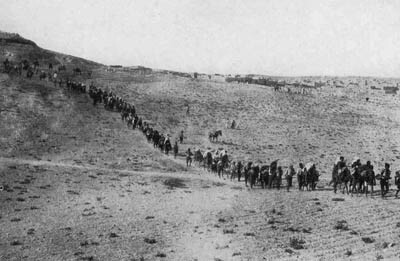 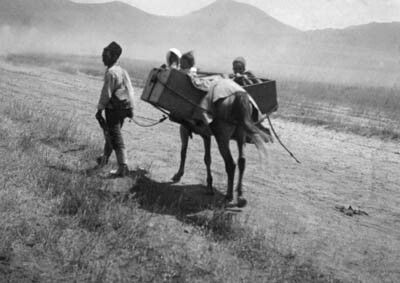 "Images that Horrify and Indict: Pictorial Documents on the Persecution and Extermination of Armenians from 1877 to 1922"
Collection of the "Album of refugees 1915-1916"
This picture shows part of the 5.000 children from Kharput en route on donkey back and foot. 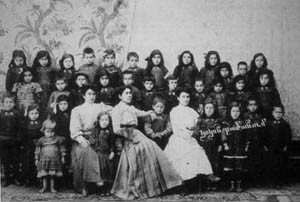 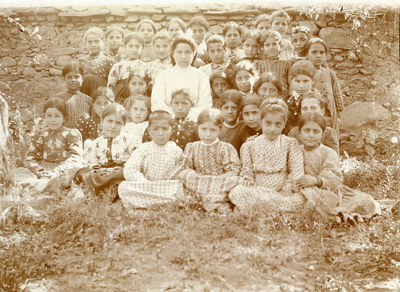 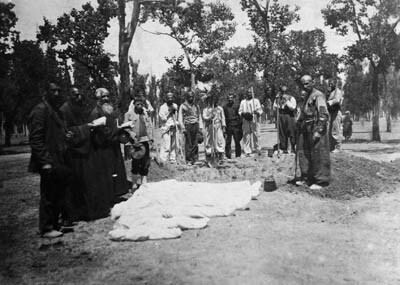 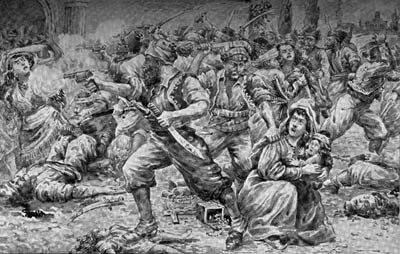 вЂњOne of the classes in the day-school in Mush with their teacher MargaridвЂ¦ The teacher Margarid Nalbanchian and most of the 120 children of the day-school were murdered in 1915вЂќ. 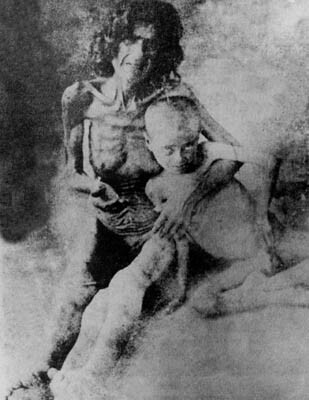 The quoted text was written by Bodil Biorn in verso of the photo.